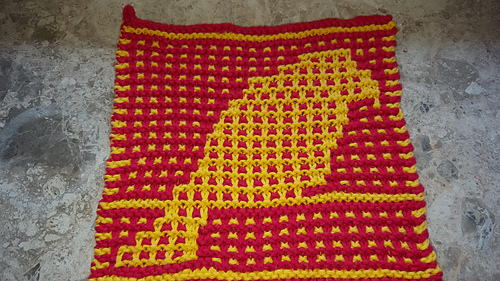 What originated as a cute, whimsical child-themed blanket idea was quickly morphed into a nerdy reference by my boyfriend. 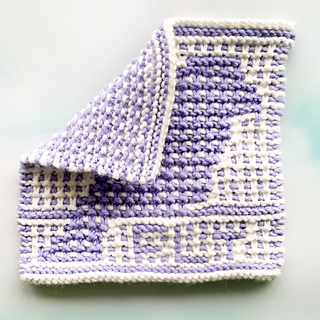 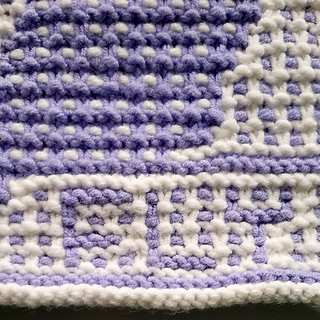 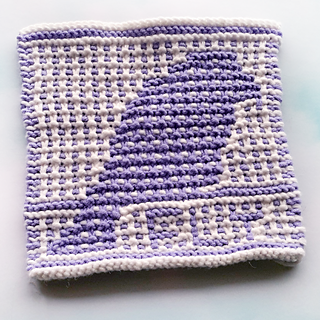 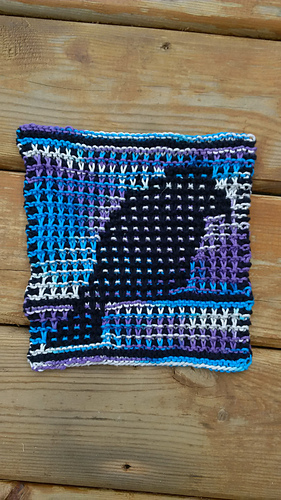 Regardless of his intent, this is a quick, satisfying mosaic knit project. 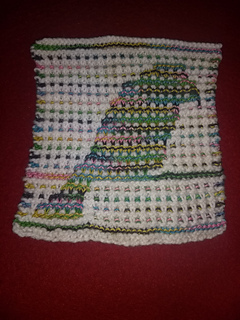 Done entirely in garter, it’s worked with one strand at a time to make it beginner friendly. 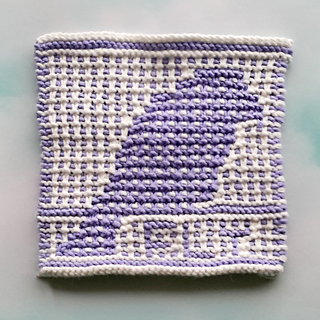 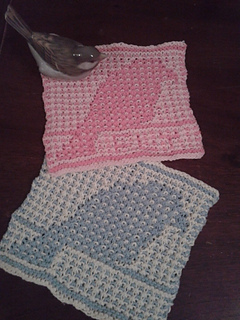 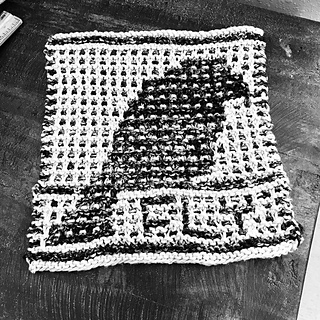 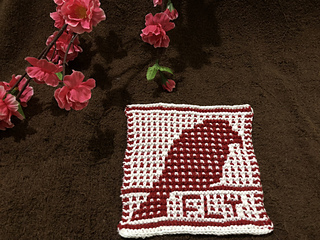 This pattern is charted & written, with options for “FLY” and options instead for a grid, wordless section under the bird. 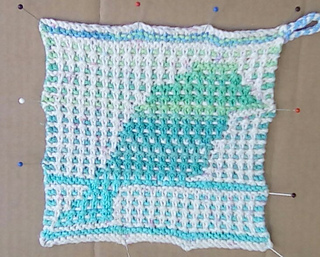 Each square will take roughly 50 yards of each colour. 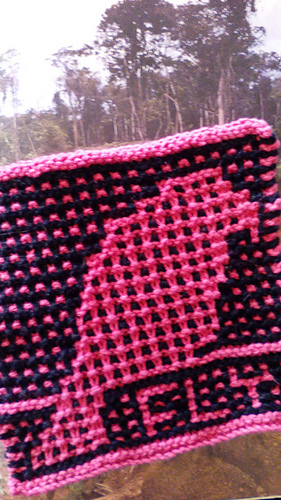 For best results, you’ll want to use colours that contrast strongly to show off your work. 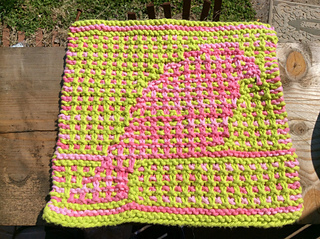 Make this square in cotton for kitchen use or in a wool or acrylic blend for a blanket afghan. 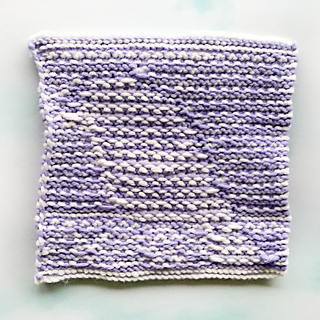 This is block #1 in a series of nursery/baby themed squares that will be released March 2018 - May 2018.